HTC There are 8 products. 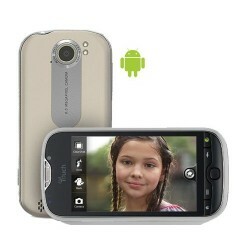 Camera equipped, the myTouch 4G for T-Mobile is the newest addition to the myTouch lineup. 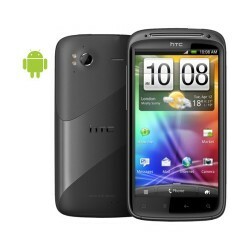 Running on Android 2.2 operating system, you can customize to your heart's content. With groundbreaking speed and exclusive features, the myTouch 4G is a premium smartphone. Like New! 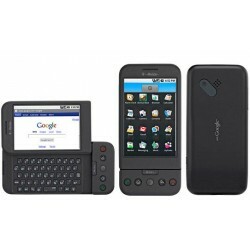 The long-awaited HTC Dream, the first commercial handset running Google's Android operating system, will be coming to T-Mobile as the G1, Featuring a 3-inch touchscreen, internet navigation buttons and a full QWERTY keypad, the smartphone market has finally broken free of Symbian, Windows Mobile and the sweet clutches of fruit companies. Refurbished. 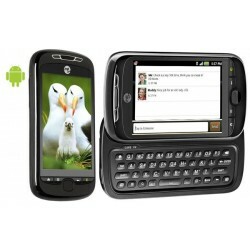 Stay connected on the go with this sleek, fully customizable, Android-powered touchscreen phone. Like New. 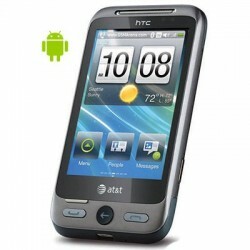 The HTC Sensation 4G delivers widescreen entertainment in true HD. Super-fast performance, and the new HTC Sense experience, all in a slim design that feels as good as it looks. Refurbished. 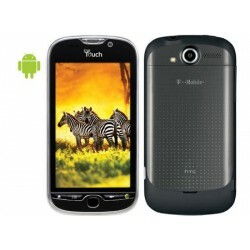 T-Mobile myTouch 4G Slide also combines the latest Android operating system (2.3, Gingerbread) with a 1.2 GHz dual-core processor and T-Mobile's blazing fast 4G network for a faster, richer on-the-go media experience. 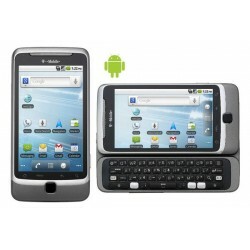 The sleek myTouch 4G Slide also features a 3.7-inch Super LCD multi-touch display and a side-sliding 4-row QWERTY keyboard. Like New! 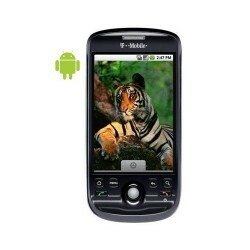 The T-Mobile G2 is equipped with a 3G/HSDPA (7.2Mbps) chipset, along with 802.11b/g/n Wi-Fi and Bluetooth 2.1 with EDR. It also boasts 4G connectivity using T-Mobile's HSPA+ network where available, boosting speeds to 14.4Mbps. Refurbished. The HTC Freestyle lets you switch between providers without having to buy a new phone. Able to work using four different frequencies, this quad-band HTC touchscreen phone is the perfect choice for those who are frequent travelers.